Global water based makeup will provide great coverage that will flow easily from your brush. Load a damp sponge or brush across the cake to start creating some colorful designs. Global Colours face paints are safe and easy to wash off with soap and water. Perfect for halloween makeovers and fantasy makeup. Cruelty free and hypoallergenic. 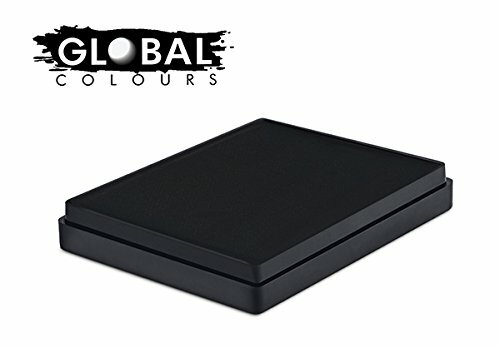 If you have any questions about this product by Global Colours BodyArt, contact us by completing and submitting the form below. If you are looking for a specif part number, please include it with your message.